Okay, so she's not one and he's not 92. It's close enough. 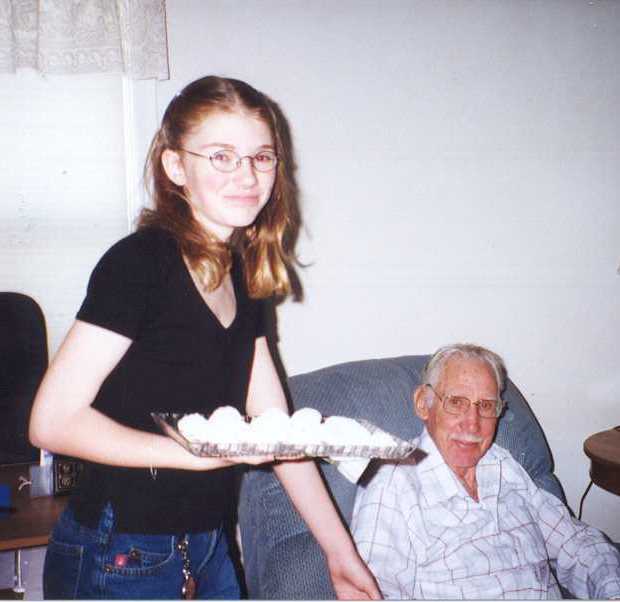 Deanna is offering some pecan balls I just made to Grandpa. We also made gingerbread people and sugar cookies, that had a brief residency in our Santa cookie jar. With all the cookies, candies and other goodies, Paul and I started to resemble the cookie jar. Thank God for new year's resolutions!